Gardening is one of those hobbies that, while it’s fun and relaxing, it can require a lot of your time. Luckily, we’ve got a whole host of gardening hacks to make your life easier! Put those old milk bottles to good use – poke holes in the lid, fill with water and you’ve got your own make-shift watering can! This tip is great for new gardeners who haven’t got all the tools of the trade yet. Going away & worried your indoor plants will die? Keep your plants well-watered for a couple of days with this clever trick: grab loads of paper towels and a glass or two. Tightly twist the paper towels until they’re long and thin – like pieces of rope. Then fill the glass with water, leave one end of the paper towel in it and lay the rest of the towel strip across the soil of your plants. Make sure each plant is only a few centimetres away from the towel. Put those broken pots to use! 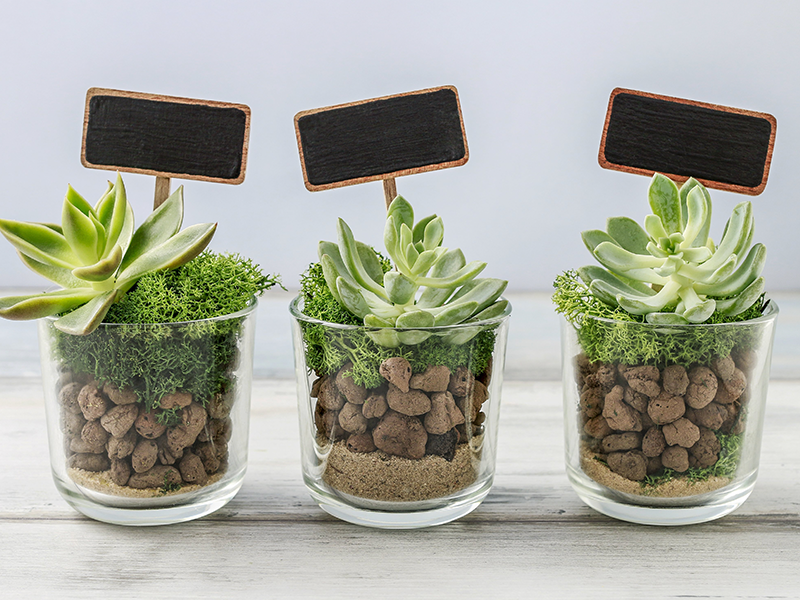 Use them to label your plants in a fun way. Simply write the name of the plant on a shard of the pot with permanent marker. Then take the biggest piece of pot (like the bottom bit) and hammer it lightly into the soil. Want to check to see if your soil is alkaline or acidic? Scoop a small amount of soil into a mug, add two spoons of vinegar and mix. Watch the mixture. If it begins to bubble or make a bubbling noise, your soil is alkaline. Test for acidic soil by scooping a little soil into a mug once again, adding two spoons of baking soda and stirring. If this mixture bubbles up or makes a bubbling noise, then your soil is acidic. Another way you can make gardening easier is with our range of products. Whether you’re trying to grow a plush lawn or you want your plants to bloom, we’ve got something for you. Visit our products page and take a look.